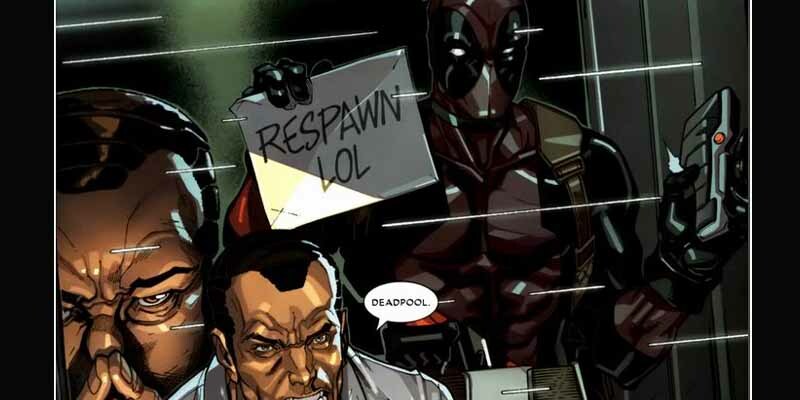 In the Dark Reign storyline, Deadpool get hired by Nick Fury to retrieve data on how to defeat the Skrull (alien invaders) queen only for Norman Osborne to steal it and use it to become the new director of SHIELD. Deadpool is dead set on righting this wrong, so Osborne sends the Thunderbolts to take him out. Pool uses this opportunity to fake his death and give Osborne a nasty surprise in one of the most iconic Deadpool panels ever drawn.